This is an old post, but I thought it might help now that it’s spring cleaning time! really good cleaning that only washing will take care of? 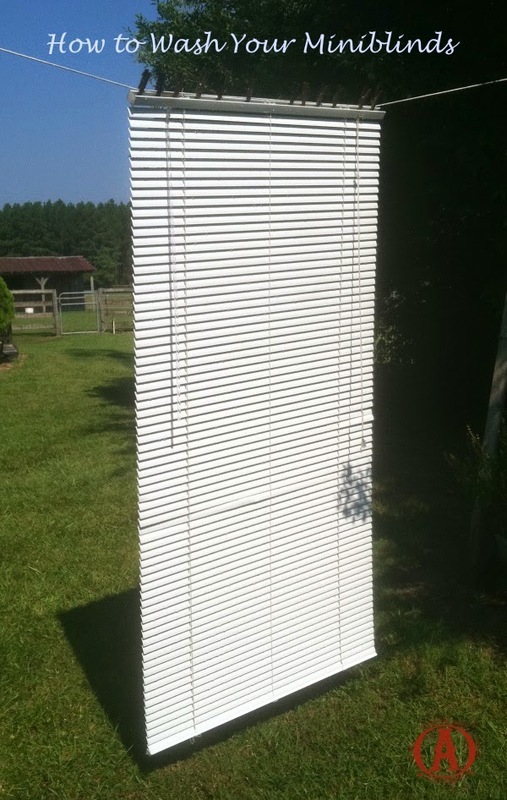 Here is how I wash my mini blinds to keep them sparkling and white. 1) Pull the mini blind all the way up so it is as small as possible. 2) Remove the mini blind from its holder and head outside. blind to end up on the ground, dirtier than when you started! Gently lower the blind to the fully open position. both sides to get all of the edges of the slats. Remember to spray the strings as well. to knock the blind down from the line! 6) Rinse the entire blind well and allow it to air dry. out any water remaining in the top ridge and wipe that area with a clean cloth. 8) Take your blind back inside and re-install. 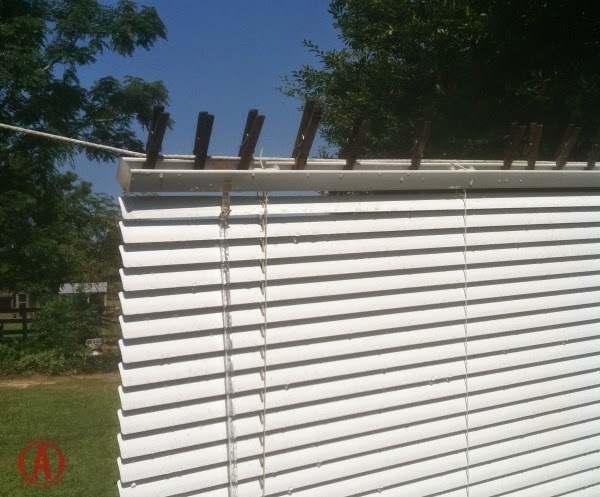 You should always remember that when washing wood blinds, you shouldn't over saturate the wood. You should wipe the excess water off immediately to avoid discoloring. Also, it is good to vacuum blinds often with a brush attachment, but you should do it across the slats and not up and down. Pingback: What You Should Be Doing To Prepare For Winter...Now!